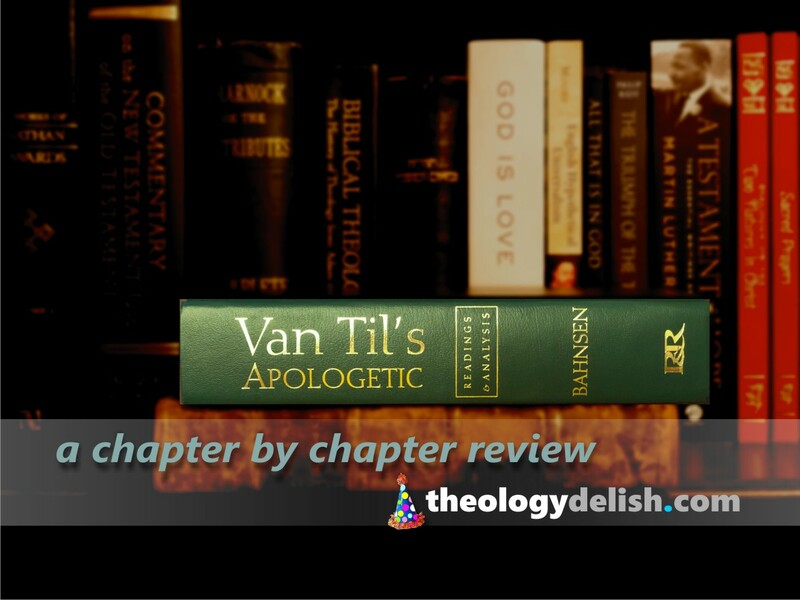 This is the fourth post in a serial review of Van Til’s Apologetic. The previous post to this post is sections 1.2 and 1.3 (part ONE of two) and to see the current list of posts in this series go to the Topics page in the blog header. Before we continue a few clarifications are in order. My approach in this review series is to analyze Van Til’s method as it stands in his milieu as much as that possible from our vantage point. I noted in the last post that there are variations in the Presuppositional method. Van Til’s method is his own. Bahnsen who directly followed him is closest in his method to Van Til’s method. Then as time progressed the Presuppositional method split into different iterations while still looking to Van Til as the “grandfather” of the method. b) you’re a closet Thomist and rationalist and you’ve dipped your toes in the Tiber and you’re probably Semi-Pelagian and don’t realize it. Boo, to Natural Theology and Reason as a way to appeal to the unbeliever. c) I get what you’re saying about Presup, but if I give up Presup it will look like I’m weak on the Creator-creature distinction and soft on the absolute authority of the Scripture. Basically to be Presup is to be Reformed. About b) Well, your “objections” are more like a string of ad hominem pearls. You will help yourself greatly – even if you remain Presup – by giving your own dichotomies as much inspection as you do the ideas of those you oppose. The wisdom of the church catholic (not merely the RCC) has run deep and wide long before Presup arrived in the early 1900s. Read widely and listen to learn, not just argue. And also ad fontes. About c) You’re right about truth claims. Such creedal commitments are not up for negotiation or modification. However, in my observation over the years I think I can correctly say that many who are Presup hold to it because they have been led to think that to be TR (truly Reformed) you must be Presup. IOW, the best way to show your Reformed colors is to identify with the Presup camp. Yet, as I said Reformed catholicity has a much longer history. That rich wisdom tradition is what the Classsical Apologetic method draws from. The creeds and confessions which issue from them and Scripture stand well on their own without Presuppositionalism. So, when we look at the genealogy of Van Til’s ideas we find that though he was creedally committed to the Christian faith and the Reformed tradition that has defended it so well he still wanted an extra layer of protection. 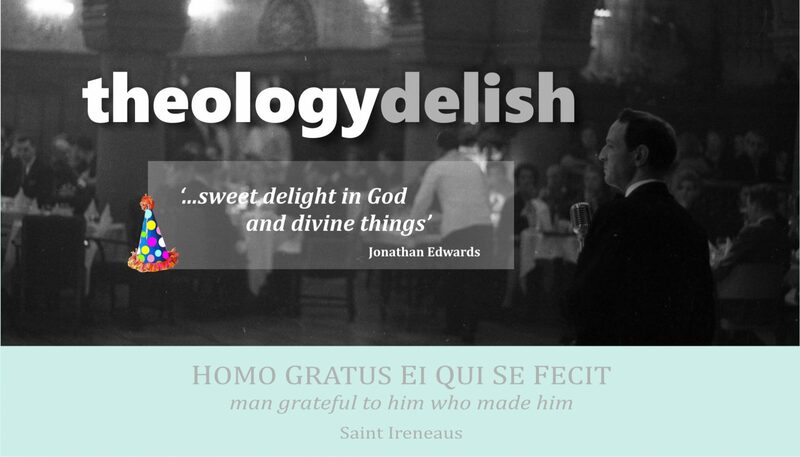 In so doing he brought into Reformed theology a Kantian view of reality. In time as this Kantian view of reality was re-clothed by Van Til and Bahnsen in what became the Presup method, the earlier charges aimed at Van Til for being Kantian (and even Hegelian) faded to grey. Van Til was able later to deflect the charge that he was Kantian by critiquing Kant. Yet, the root of the Kantian weed still remains. And finally for clarification, a question of first importance – Why does this this inquiry into Presuppositional Apologetics matter? Is there a better way, a better method? Yes, there is and it matters because how we go about acquiring knowledge and how we put it to use will have positive or negative affects (plural!) on our relationships, on how we engage culture, on how we contribute to the sub-cultures within the Church and on our disposition (attitude) to the Faith. This can be summed in motto form as it been said so often before: lex orandi, lex credendi, lex vivendi – the practice of prayer (or what you deem sacred) is the practice of belief is the practice of living. For example, consider in our own time how prominent Presup apologists are doing Christian apologetics. Are we comfortable with the way Syn Ten Bruggencate goes about it? Would Van Til want it that way for that matter? Before posting this post I wrote an essay giving an entry level overview of the concept of Worldview and a basic inquiry into its origin in Kant. The title to that essay asks the question, Is ‘Worldview’ Too Much With Us? This will give some helpful background to how the idea of “worldview” entered in to the blood stream of Reformed Theology by way of Van Til and others. That essay doesn’t say much about Reformed theology and it’s reception of some Kantian ideas, but it will attempt to show that “transcendental idealism” is not just an piece of the history of philosophy. It has been brought forward into the present in theological garb as well. Why was the concept of “worldview” necessary to Van Til’s apologetic method and furthermore how is Van Til’s worldview” still dependent on Kant’s “transcendental idealism” and the “assumption” of God in it? Another very important factor in the entry of “worldview” concept into the West is also how “the sociology of knowledge” (Wissenssoziologie) was seen as the driving force behind or in one’s “worldview.” In other words, if you have a “worldview” then because of “the sociology of knowledge” you cannot help that your “worldview” is imparted to you by others around you – the Christian worldview included and its many variations (I deal with the idea of many Christian worldviews in the previous essay on worldview being too much with us). Christian “Worldview” concepts cannot and should not consider themselves exclude from “the sociology of knowledge” when they are pointing to every other “worldview” as developing within a sociological context. Christian “Worldview”(s) should not invoke special privilege. Christian philosopher, David Haines, demonstrates a few specifics of “the sociology of knowledge” regarding Van Til. He shows how the training imparted to Van Til is a formative milieu for Van Til’s response and development in his own apologetic concepts. Cornelius Van Til was, without a doubt, one of the most influential apologists of the Neo-Calvinist movement of the twentieth century. Van Til received his philosophical training under W. H. Jellema at Calvin College (a gifted philosopher who had received his training under well-known English Idealists such as Josiah Royce, F. H. Bradley, and T. H. Green), and then later at Princeton where he completed the work for his Doctorate in philosophy under Archibald Allen Bowman (also a well-known Idealist). Christian theology that was coming from the continent to the US, including Dutch varieties, should be understood in its sociological milieu of the time as much as any other system. Presuppositional cannot escape that situational influence just because it has a “transcendental” defense. In 1781 Kant published his earth-shaking Critique of Pure Reason. Yet, his theories on reality and the existence of God had already shown maturity earlier in a shorter treatise, Der einzig mogliche Beweisgrnnd zu einer Demonstration des Daseins Gottes, von M. Immanuel Kant (1763) or in English titled, The Only Possible Argument in Support of a Demonstration of the Existence of God. That was almost 2 decades before the Critique. It is in this that the proof of God’s existence [Kant’s presuppositional intution] ought to be sought. And should you come to think that the proof is not to be found here after all, then abandon this unbeaten path and follow the broad highway of human reason. It is absolutely necessary that one should convince oneself that God exists; that His existence should be demonstrated, however, is not so necessary. The demand that it is “absolutely necessary that one should convince oneself that God exists” translates into Van Til’s Presuppositional method as the “assumption” which Bahnsen noted earlier. In other words, because you aren’t using reason to make sense of the seen with the unseen according to the Kantian explanation of reality you will then need a Weltanschauung to fill that role that reason has abdicated (in the Kantian reality). Why? Because it’s not “necessary” to “demonstrate” God’s “existence”…according to both Kant and Van Til. Another way to put it is that by standing on a “transcendental defense” you still need a Weltanscauung, a “worldview” to stabilize you. You can feel dizzy way up there standing on a “transcendental defense.” A “worldview” gives you an artificial scaffold to cling to. Instead of letting the Spirit use Reason and combined with Scripture to make an appeal to the unbelieving heart and mind, we are asked in the Presup method to set aside Reason and it plentiful resources (God given resources, ironically). Thus, in the Presup method Van Til and Bahnsen set forth you are then left with basically only one angle to look at everything – the “assumption” that what you are assuming is true or as Kant put it, “that one should convince oneself that God exists.” The assumption is in reality a reduction of reality. Presuppositionalism is in its view of the worldview one reduced to a narrow line of sight on reality (unless it borrows from other methods which does happen from time to time). A result of this narrow or one angle approach to reality, the Presup apologetic is both emotionally and intellectually reduced to a battle stance, even against reason itself. If you have been left with one tool of “defense” instead of a whole cadre of tools of “defense” you will likely become defensive, be likely to take on a battle stance. If that is in doubt, consider how Bahnsen demonstrated this battle stance approach in keeping with a Van Tillian method. Consider the confrontational methods of Sye Ten Bruggencate. So often winning the debate appears to be their main objective, much less winning the person. Yet, this is what we should expect from a Presup method since their “network of ideas” or “worldview” is that “The kingdom of God must be built upon the destruction of the enemy” (Cornelius Van Til, A Survey of Christian Epistemology, p. 207). Who is “the enemy” Van Til was set against for their “destruction”? The unbeliever. The unbeliever to whom the Gospel instead compels us to make a loving, reasoned appeal for the sake of Christ and his kingdom. That is why in the next post we will consider Van Til’s break from B. B. Warfield’s theological method and Van Til’s suppression of Warfield’s careful use of “right reason.” This next post will have a few thoughts on chapter 1, section 1.4. Then we will move to chapter 2.